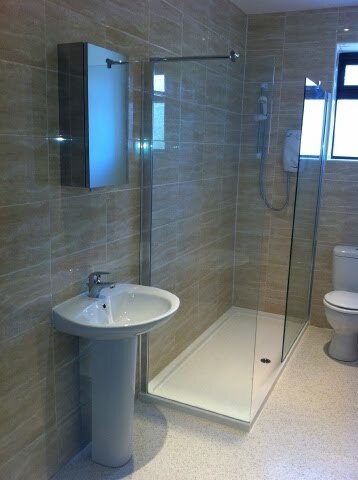 Woods Plumbing Rossendale offer all aspects of plumbing from dripping taps to full bathroom refurbishments & disability bathroom installations. Not only do we work carry out plumbing in Rossendale but cover other areas including Plumbing in Helmshore, Plumbing in Haslingden, Plumbing in Accrington, Plumbing in Blackburn, Plumbing in Bury, Plumbing in Ramsbottom, and Plumbing in Burnley . Woods Plumbing Rossendale have been providing a plumbing service since 1989. Because of our long experience in the industry we are one of the few companies able to offer a high standard of work that is second to none. Carrying out plumbing for Rossendale's St Vincents Home Care & Repair Service we are used to dealing with the elderly and infirm and have been fully vetted by Trading Standards becoming a member of the Help Direct Safe Trader Scheme. We treat our customers honestly and fairly and have committed to a code of practice https://www.traderregister.org.uk/region_files/lancashire/Code%20of%20Practice(2).pdf. We pride ourselves on having no call out charge for our plumbing services in Rossendale and other local area as well as providing FREE quotations. Whether it is replacing a tap washer or completely refurbishing a bathroom we promise our customers the same high standard of service on all jobs. We ensure that we leave your home clean and tidy and use dust sheets at all times. A cookie is a small data file with text stored in your browser. The information is used to distinguish you as a unique visitor. Cookies stored on this site does not contain any information about you as a person. Most browsers are initially set to allow cookies. The feature can be turned off. If you do not know how to turn off cookies on your browser, try using the browser's help function. Although, if you do that this site may not function properly.